oomph. 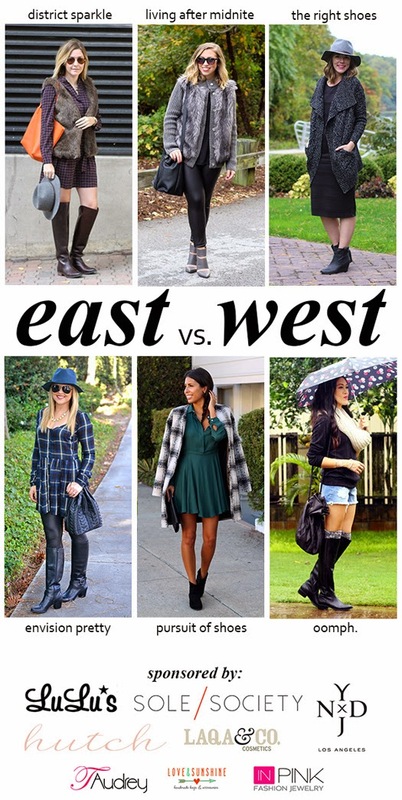 : east vs west style. boots. east vs west style. boots. boots, boots, boots! 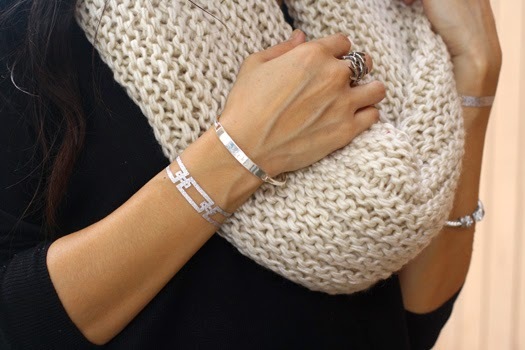 another fall favorite that needs no introduction. i love the mix of styles here from stiletto booties to knee high boots. when i selected this outfit weeks ago, we were experiencing unusually warm and humid weather. so i opted for shorts instead jeans. then on the day of shooting, we were hit with hurricane ana's non-stop rain. perfect weather for the outfit (and the would-have-been-jeans), not so much for photographing it. this mixed media sweater is the second basic black sweater i added to my wardrobe this fall. i have been wearing it constantly because it is thin and slightly oversized, perfect for throwing on over denim like these Dittos misty cutoffs. and this cozy beige infinity scarf kept me super warm. it was like being wrapped up in a blanket. photographing in the rain was a total fail...the umbrella was not a wanted and intentional prop! plus, my hair was starting to frizz, haha. luckily, i happened to snap a few photos of the outfit last week as part of my 'week of' series. i hadn't received the scarf and shorts yet, but at least these photos are clear and free of rain! love the mesh details at the shoulders. I totally hate the rainy day frizz. I love your outfit though! Way to make boots warm weather appropriate! tricks or treats. sales roundup. marathon chronicles 10. race recap 30k. east vs west style. beauty. a week of high-waisted shorts. cardigan. a week of high-waisted shorts. blazer. a week of high-waisted shorts. kimono. a week of high-waisted shorts. monochromatic. east vs west style. oversized knits. an [oomph] review + GIVEAWAY. 3D Cards. marathon chronicles 09. race recap 25k. east vs west style. leather.